Limited capacity (inside stage). Get your tickets now before they sell out! Nina Diaz, lead singer for the band Girl in a Coma, has been hailed by NPR as 'one of the two or three most exciting, scary-good vocalists in rock today.' In early 2014 she took time off from the band to write and record a new solo project. 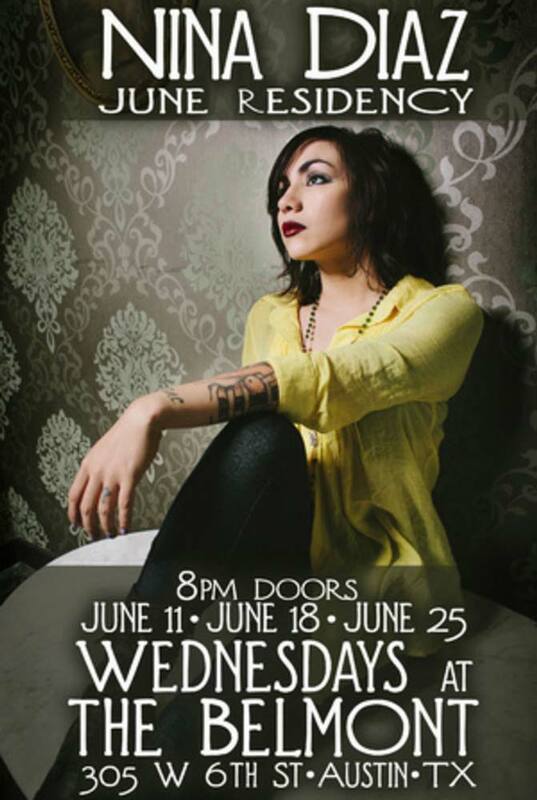 In June, at a very special three night residency on Wednesdays at the Belmont, Nina will introduce these newly arranged songs as she debuts her new five-piece band.